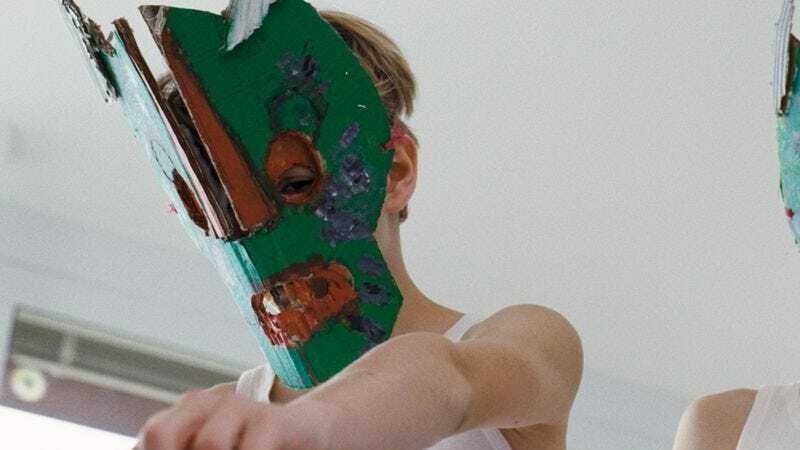 For viewers paying even a little bit of attention, it shouldn’t take more than maybe 10 solid minutes of screen time to surmise Goodnight Mommy’s big twist. (Hint, for those who can’t wait until the end of this paragraph: You don’t need a beautiful mind to spot the blatant clues.) “You know why,” Mommy tells her son, Elias, when he asks why she only made breakfast for him, and not for his twin brother, Lukas. She didn’t make breakfast for Lukas because, quite obviously, he’s not actually there—a secret filmmakers Veronika Franz and Severin Fiala all but disclose every time Mommy responds to one twin but not the other. It’s not until the final few minutes that they reveal the full truth: Lukas died in the same accident that disfigured his mother, and Elias has, out of guilt and denial, been imagining that he’s still there. Savvy viewers, weaned on several decades of “mind-blowing” plot revelations, will spot this coming a country mile away. Anyway, it really doesn’t matter that Goodnight Mommy has an embarrassingly predictable twist, because the movie’s main function is to burrow deep underneath your skin, a task it accomplishes with aplomb. In the film’s backstretch, Elias’ behavior shifts from mischief—like allowing a giant, hissing cockroach to squirm into his mother’s mouth while she’s sleeping, which this writer would take as grounds for being put up for adoption—to ghastly, amateur interrogation techniques, as he ties his mother to her bed and demands she prove her identity. It’s not just the violence of these scenes, with their creative application of magnifying glasses and superglue, that frays the nerves. It’s also that Elias is, beyond his psychosis, just a child—one with a typically childlike grasp of consequences and the meaning of his actions, to say nothing of his clumsy control of a pair of scissors. There’s deep suspense, and more than a little dark humor, to watching this mother futilely attempt to assert her parental authority, right up until the moment that her naughty child burns her alive.